Promotes a dedicated mindset to become more fit, healthy, exercise more or train harder! Designed for athletes or anybody else really who wants to improve their general level of fitness. 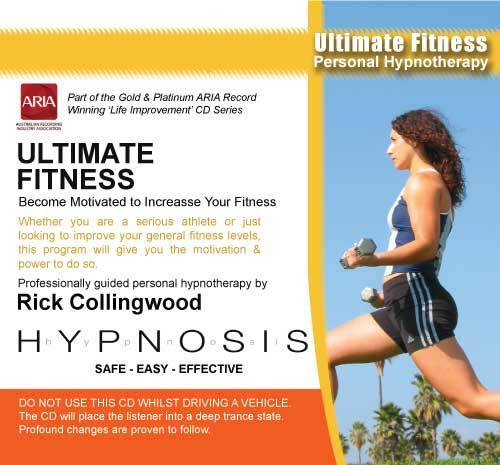 This self hypnosis program provides the means and the motivation to achieve your fitness goals easily and realistically. This CD or MP3 will help you to become motivated towards physical activity and to help the mind control the body to achieve more out of your daily exercise and fitness routines. It will also help you capture the power of your mind to automatically make better conscious decisions about exercising and to give you the ability to push harder towards your goals. This works both through the mind and the body, so that you approach improving your fitness on a much more holistic level.